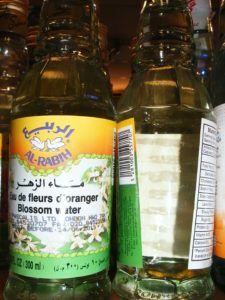 Orange blossom water is actually the distilled blossom of sour oranges. Which always strikes us as being really odd. You know, the fact that something with such a sweet smell can come from something which offers its culinary antithesis. Wonderful thing, nature, eh? Please note: orange blossom needs to be used VERY VERY SPARINGLY. Got that? It can kill a recipe at twenty paces. A little goes a very long way indeed. This is not to say it is a bad thing – it is wonderful, but potent. Add a splash to your cocktails: it works really well with gin. Try the Persepolis Bahar Special: gin, grenadine, orange flower water, a dash of tamarind, splodge of lemon, top up with pomegranate juice… Don’t forget the paper umbrella. Mix with brown sauce, balsamic vinegar, onion, ginger and sesame oil for an ace marinade for practically anything. And there you have it. Rather than being stuck with the stuff you’ll be rushing out to buy another bottle before you know it. What a well written piece. Excellent blog and site. Is the bottled pictured organic or synthetic kind? 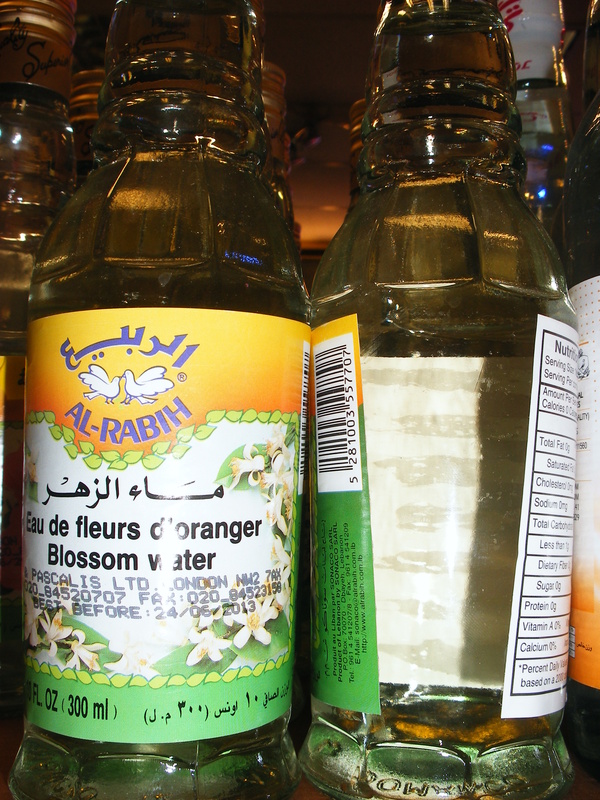 Enjoyed your article on orange blossom water. Thank you for all the good ideas!